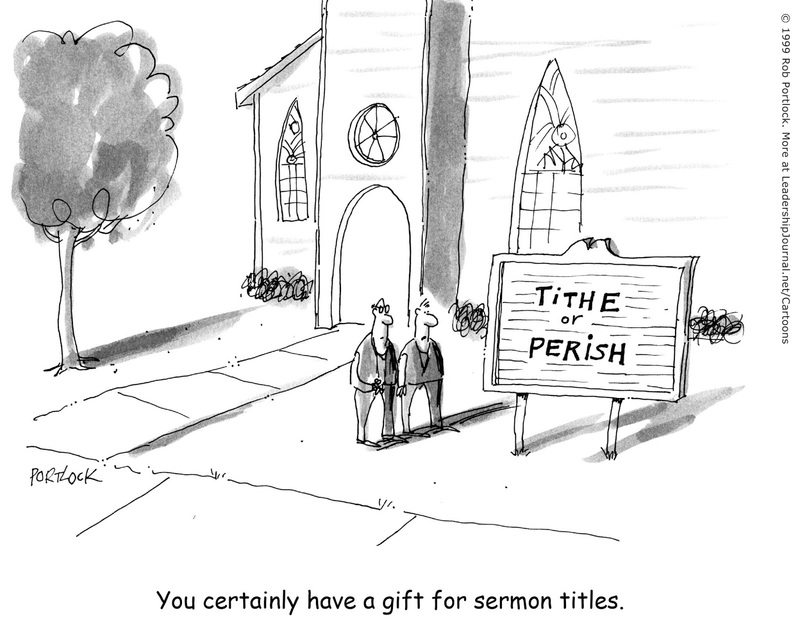 According to the Bible, Christians are not required to tithe. Tithing was abolished once the New Covenant was established. It was replaced with voluntary giving. Christians (e.g., Disciples, Apostle Paul) in the Bible did not practice tithing. They practiced giving. Tithing was one of the 613 Mosaic laws. In Malachi tithes were paid in food and animal sacrifices. After Jesus died on the Cross to fulfill the law there is no mandate or command to tithe in the New Testament. Malachi 3:8 "you have robbed me in tithes and offerings"
Malachi 3:9 "You are cursed with a curse"
Galatians 3:13 "Christ has redeemed us from the curse of the law by being made a curse for us for as the scriptures say cursed is anyone who hangs from a tree." Galatians 3:14 "That the Blessing of Abraham might come on the Gentiles through Jesus Christ: that we might receive the promise of the Spirit through faith". Colossians 2: 14 "He canceled the record of the charges against us and took it away by nailing it to the cross". Galatians 2:16 "yet we know that a person is not justified by works of the law but through faith in Jesus Christ, so we also have believed in Christ Jesus, in order to be justified by faith in Christ and not by works of the law, because by works of the law no one will be justified". Galatians 2:21 "I do not nullify the grace of God, for if righteousness were through the law, then Christ died for no purpose". 2nd Corinthian 9:7 "Each one must give as he has decided in his heart, not reluctantly or under compulsion, for God loves a cheerful giver." Those today who seek to convince you that you must tithe, are like the Judaizers of Paul's day that told the Christians they must become circumcised. Anyone who attempts to convince you that you must do certain things in order to be acceptable, does not understand the grace of God as he established it through the life, death, and resurrection of his son, Christ Jesus. For freedom Christ has set us free; stand fast therefore, and do not submit again to a yoke of slavery. Now I, Paul, say to you that if you receive circumcision, Christ will be of no advantage to you. I testify again to every man who receives circumcision that he is bound to keep the whole law. You are severed from Christ, you who would be justified by the law; you have fallen away from grace. For through the Spirit, by faith, we wait for the hope of righteousness. For in Christ Jesus neither circumcision nor uncircumcision is of any avail, but faith working through love. You were running well; who hindered you from obeying the truth? This persuasion is not from him who calls you. A little leaven leavens the whole lump. I have confidence in the Lord that you will take no other view than mine; and he who is troubling you will bear his judgment, whoever he is. But if I, brethren, still preach circumcision, why am I still persecuted? In that case the stumbling block of the cross has been removed. I wish those who unsettle you would mutilate themselves! For you were called to freedom, brethren; only do not use your freedom as an opportunity for the flesh, but through love be servants of one another. For the whole law is fulfilled in one word, "You shall love your neighbor as yourself." But if you bite and devour one another take heed that you are not consumed by one another. But I say, walk by the Spirit, and do not gratify the desires of the flesh. For the desires of the flesh are against the Spirit, and the desires of the Spirit are against the flesh; for these are opposed to each other, to prevent you from doing what you would. But if you are led by the Spirit you are not under the law. Now the works of the flesh are plain: fornication, impurity, licentiousness, idolatry, sorcery, enmity, strife, jealousy, anger, selfishness, dissension, party spirit, envy, drunkenness, carousing, and the like. I warn you, as I warned you before, that those who do such things shall not inherit the kingdom of God. But the fruit of the Spirit is love, joy, peace, patience, kindness, goodness, faithfulness, gentleness, self-control; against such there is no law. And those who belong to Christ Jesus have crucified the flesh with its passions and desires. If we live by the Spirit, let us also walk by the Spirit. Let us have no self-conceit, no provoking of one another, no envy of one another.